Note that it provides evidence of ownership is the definition. There is no clue as to the spelling of the word, other than whichever way you look at it which signifies that the answer is a palindrome. 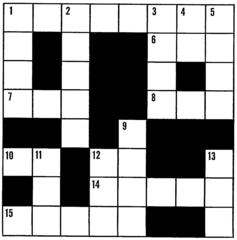 Once you crack that, solving the clue should be relatively straightforward – especially if you already have one or more letters. Here, to-and-fro is the palindrome signifier and introduction is the definition.